LIBBY HELLMANN: Regardless whether you think Edward Snowden is a hero or a traitor, he has ignited a firestorm about the lengths and limits that government and corporations do and should have over our privacy. 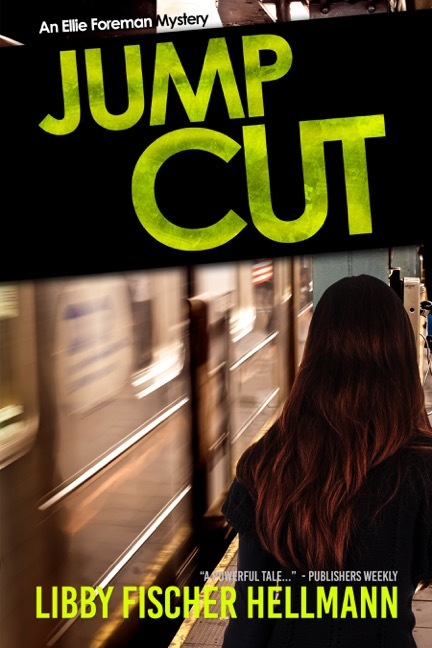 In fact, the issue of privacy is at the heart of my new thriller, Jump Cut, the first Ellie Foreman thriller in ten years. Ellie finds herself under surveillance… not only her phones are tapped, but her computers are hacked, and her car has a tracker on it. Remember when we learned the average person was caught on video cameras at least 6 times a day? And how our emails were (and continue to be) hijacked by phishers? And how our identities can be stolen off our computers or smart phones in an instant with the right tools? What Snowden did was take the theft of privacy to a higher level, by showing us how easy it is for organizations to capture even more data and information. Facebook is fully aware of your password security questions, your personal details are stored by Gmail and plenty of other websites. Your internet service provider knows exactly who you are, where you live, your credit card number, when you made your last payment, and how much you spent. Retailers track your every visit online. No wonder there's a growing movement of ordinary people protesting government and corporate snooping. It's serious business. And if you’re anything like Ellie, you’d want to know what to do to arm yourself against privacy and security “thieves.”. Fortunately, Edward Snowden was interviewed in a Moscow hotel last October, and, in addition to a broad commentary on privacy, surveillance and encryption, he also offered a detailed look into opsec (operations security) and how to improve your own personal security and privacy. Use Tor, the private browser. Snowden says it's the “most important privacy-enhancing technology project being used today”, letting you keep your physical location private and look things up without leaving a trace to identify you. Encrypt all phone calls and text messages. Use a free smartphone app like Signal, by Open Whisper Systems. When you do this, nobody can read or hear your conversations. It's available for iOS and Android, and it's really easy to use. Although I didn’t name it, this is the system Ellie’s boyfriend downloads to her smart phone in JUMP CUT. Encrypt your hard disk. If your machine gets stolen, nobody can see where you live, look at your files or anything else. Use a password manager to stop your login details from being exposed. It will let you create a unique password for every site you need to log into. They're unbreakable, and you don't need to remember them. Snowden recommends KeePassX, a free cross-platform manager that never stores information in the cloud. Use two-factor authentication so if your password gets stolen the provider can send you a secondary way to authenticate your identity, for example in a text message. When you do this, anyone wanting to hack you has to have your password plus an actual device, like your phone, to complete the transaction. What if you want to go even further? Snowden recommends using software called SecureDrop – a system for whistleblowers - over the Tor network, so there's no connection with the computer you're using. You could also use an operating system like Tails, which leaves no forensic trace on the computer you're using. Take things even further and you're looking at using disposable machines, which can't be found in a raid so can't be appropriated and analyzed. You can keep going to deeper and deeper levels, and I’m sure some people do. Or you could stay sane and concentrate on the six steps Snowden suggests. They will help thwart the most common and realistic threats to your personal security. How many of you have implemented even one of Snowden’s suggestions? Unfortunately, I haven’t. But Ellie has, so at least she’s protected. Libby Fischer Hellmann left a career in broadcast news in Washington, DC and moved to Chicago 35 years ago, where she, naturally, began to write gritty crime fiction. Twelve novels and twenty short stories later, she claims they’ll take her out of the Windy City feet first. She has been nominated for many awards in the mystery and crime writing community and has even won a few. With the addition of Jump Cut in 2016, her novels include the now five-volume Ellie Foreman series, which she describes as a cross between “Desperate Housewives” and “24;” the hard-boiled 4-volume Georgia Davis PI series, and three stand-alone historical thrillers that Libby calls her “Revolution Trilogy.” Last fall The Incidental Spy, a historical novella set during the early years of the Manhattan Project at the U of Chicago was released. Her short stories have been published in a dozen anthologies, the Saturday Evening Post, and Ed Gorman’s “25 Criminally Good Short Stories” collection. In 2005 Libby was the national president of Sisters In Crime, a 3500 member organization dedicated to the advancement of female crime fiction authors. The theft of personal information has become a significant problem in this computer/smartphone age and investigating safety measures is always a good idea. Thanks for the information . . . . I read those cautions and my eyes glaze over. I know I should implement them and I probably won't. Maybe it's thought, "Who would want to track little old me?" A foolish attitude, I'm sure. That said, the book sounds fascinating, Libby! You're welcome, Joan. Edith, the measures really aren't that onerous. Just try one. Go to Tor one day and then to the websites you usually visit... see if you like it. I hear about people using it more and more. And thanks, Reds, for the opportunity to guest blog. Again! Libby, what was it like to come back to a character after 10 years? Had you stopped because of other commitments or desire to do other things? Was this story perfect for this character? 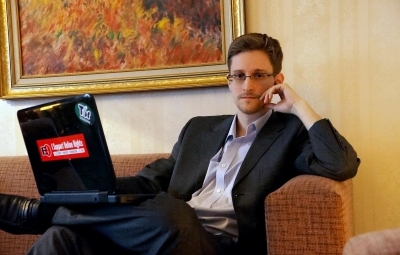 I find it ironic that Edward Snowden, who fled to Moscow in part because he exposed the flaws in our government's pursuit of citizens' private information, now lives in one of the countries with the least regard for a citizen's right to privacy or, indeed, freedom of expression. I confess, it feels exhausting just thinking about this. Thanks for all the pointers, and what a great jumping off point for a crime novel. The one thing I do is keep a post-it over the camera lens on my laptop screen. It just creeps me out thinking someone could be watching. I know: paranoid. It will be interesting to see how Apple's resistance to cracking it's own cell phone security will end. After watching Edward Snowden be interviewed on Last Week Tonight with John Oliver, I decided to change all my passwords to really long, complex words with capitals, lowercase, numbers, and symbols. Now I don't remember any of them and can't get into anything. Welcome Libby! I love FChurch's question about what it's like to return to Ellie after a long hiatus. I swear I will try one of your tips! I work in technology and this list throws me a little. I've used a password manager in the past, but haven't for a while. I have so many passwords (and I use letters/numbers/special characters where possible) I can't keep them straight. Susan, I've been in your shoes and I always forget the password to the one website I really need to access (like my bank). At work I'm limited to what I can do, which is why I try not to do really personal stuff (like banking) on my work computer. Thanks for the tips, Libby. I think I'm going to switch to Tor, if it keeps ads for everything I've searched for off my browser pages. Firefox used to have anti-adware settings, but recent updates turned them off, and now I can't find them any more. Every single page I click on now gets ads for shoes I searched for two weeks ago, despite clearing out the cookies. It's ticking me off, too. The hard part of this stuff is how many different ways we access our various Internet/WWW sites and email/social media accounts. I have four different devices, and it's impossible to keep up with all of it. The biggest lie, ever, is that technology would make our lives easier. One other thing, that Mary's comment reminded me of. When you look for apps in one of the app stores: iTunes, Google, or Windows, it's almost impossible to tell, even by the reviews, which ones are not to be trusted. Is there a way to vet the apps, that anyone knows of? So many of them seem to expect to be able to access every aspect of a phone or other device, which is more than a little freaky. FChurch, I agree with your sense of irony over Snowden's current place of residence. And, of course, one wonders just what benefit he is to Russia, as I highly doubt that Russia is allowing him to live there due to altruistic motives. I have to keep passwords and user names written down in a notebook or I would be totally lost. And unable to access anything. I will have to check out Tor. Thanks for all the tips Libby! I have to say I haven't decided what to think about Edward Snowden. Hero or villain? I'm a boomer who grew up respecting our leaders until we got into the Vietnam mess and found out our government will lie to us. So now I have a Jekyll and Hyde approach to anything government-related. Bleah. I am going to implement several of these, although it may be a bit of closing the barn door after the horse has escaped. In any event, I'll feel better. Thanks for the tips; I look forward to reading this series. Thanks, everyone, but these aren't my tips... They're Snowden's. But most are pretty sensible, if you're concerned about privacy. Was talking to an FBI officer today and he suggested that if you REAlLY want to be safer, don't do online banking or give out your SS#... like TFJ said, though, the barn door for me is already open. Hallie, I keep changing my mind about Apple and the FBI (yes, I know.. ironic after I lived through Hoover's COINTELPRO during the late 60s. (My father always said I'd become more conservative when I had something to lose... darn him... he was right.) Anyway, t see both sides of the issue, as I think most of us do. Still it's hard for me to think that one of the most profitable companies in the world is really concerned with OUR privacy. Something else is at stake here. It's 1 phone, and it's not even an iPhone 6. I keep wondering what it is. Still, I have no doubt that Cook is sincere. As is Comley. This is just, as Comley said, a very thorny issue. All I can say is "wow." Just so you all know, I started using For today, and used it to do my online banking. Which triggered a call from my bank's fraud department. Tor routed my server through France, and that alerted the bank. Can I Bring my Ostrich? Cover Story--and question for you! Help! I've lost my voice! Would you rather be productive or creative?